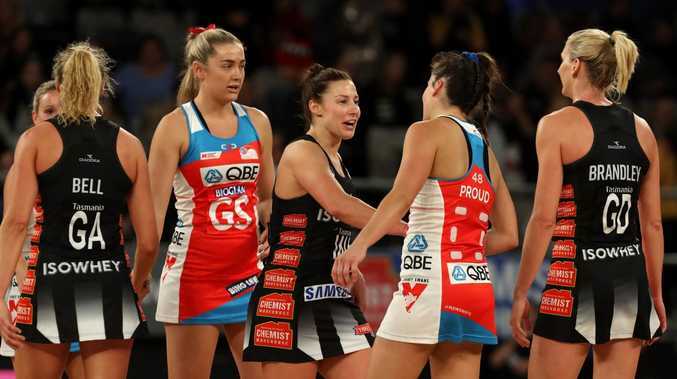 THE NSW Swifts' faint hopes of a playoff spot in Super Netball have been extinguished by a Magpies side playing for pride and their retiring defender Sharni Layton. 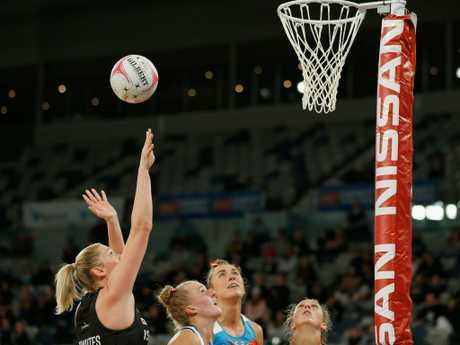 The Magpies, in second-last place on the Super Netball ladder and out of the race for the semi-finals, forced a 57-57 draw after trailing the Swifts by as much as five in the match played in Melbourne on Saturday. 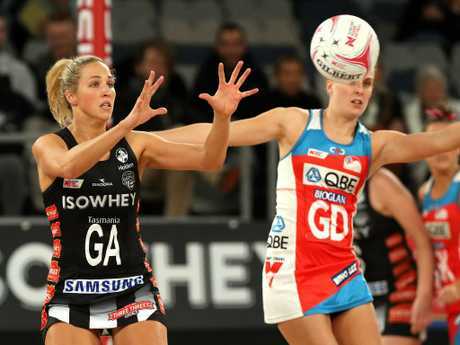 The draw - just days after fan favourite Layton confirmed her retirement from the domestic and international game next month - has effectively ended the Swifts' bid for a top-four place in the second year of Super Netball with just two rounds of the regular season to play. Magpies shooter Caitlin Thwaites top scored with 34 goals from 37 attempts for the match MVP award. "We just didn't do the little things right when we needed to," said Swifts defender Maddy Turner. The Swifts needed a win plus every possible bonus point to push for the top four but instead came away with a draw and only two bonus points. "Whatever the situation is we will give our last matches everything," Turner said. The Swifts collected the first bonus point of the game after a steady start saw them take a 18-14 lead into the break. The Magpies struck back, outscoring the Swifts 12-10 in the second quarter but still trailing the visitors 28-26 at halftime. Thwaites was rock solid in the first half with 20 goals from 22 attempts for the Magpies while Sam Wallace netted 17 from 19 for the Swifts. The Swifts continued to hold the Magpies at bay in the third to take a 44-41 lead into the final quarter. But the Melbourne side refused to concede defeat, fighting back to level the scores then go ahead for the first time in the game in the final period. A goal-for-goal exchange in the final minutes eventually ended in the draw. In other news, the Silver Ferns will play their first international matches since a disastrous Commonwealth Games under a new coach. The Ferns will be mentored in the Quad Series in September against Australia, England and South Africa in September and then the Constellation Cup against the Diamonds in October by a still-to-be-determined coach following the expected resignation of Janine Southby. 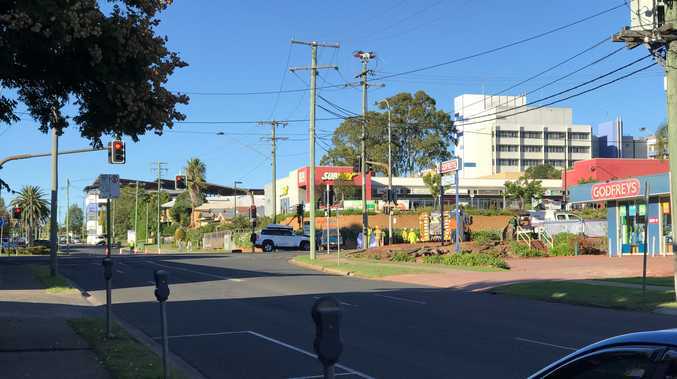 Southby has exited the role in the wake of the Ferns failing to medal at the Commonwealth Games for the first time in history and a review into the netball failure. An announcement of her replacement is expected shortly with a new Silver Ferns squad due the be named on August 14. 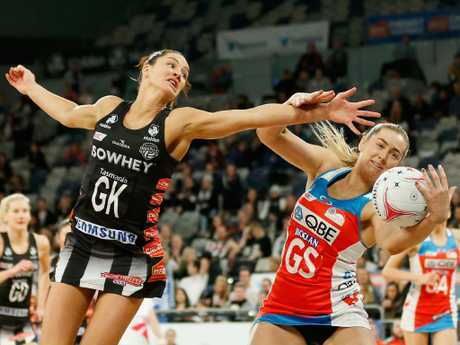 Australian selectors will confirm their teams for the Quad and Constellation Cup series' after the Super Netball grand final at the end of August.